A version of the Swook with a hood-a warm fleece jacket with a smoother knitted face that makes it great for use as a layer. 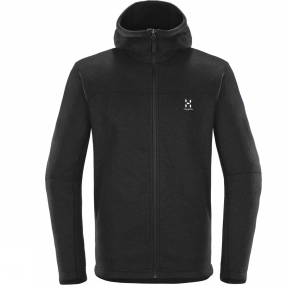 The lofty fleece is great at keeping you warm, as well as comfortable against the skin, and the garment is adapted throughout for wearability. The seams are flat and smartly placed to avoid bunching or chafing.